Before starting Trustology, Alex Batlin was the Global Head of Emerging Business & Technology team and the Global Blockchain Lead at BNY Mellon, responsible for research and development of emerging technology enabled business strategy, business models, products and services. 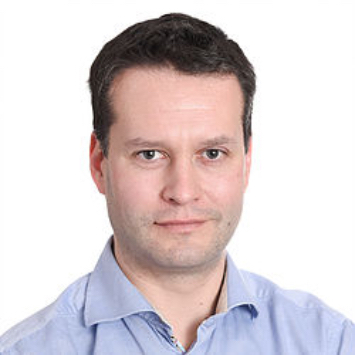 Previously, Alex was a Senior Innovation Manager at UBS, a founding head of both UBS’s FinTech Innovation Lab based in UK’s Level 39 accelerator and UBS’s Crypto 2.0 Pathfinder research programme into blockchain technology and its impact on business models, head of UBS’s technology research service, delivering market landscapes, insights and foresight to business, technology and leadership communities, and an engineer in UBS’s technology R&D team, researching big data analytics, social media, cloud and mobile computing, device security, unified communication and cognitive computing technologies. Further back, he was the bank’s global head of SDLC services. Prior to joining UBS, Alex worked at Nomura, JPMorgan and CSC. He has a degree in Computer Science from University of Bristol.